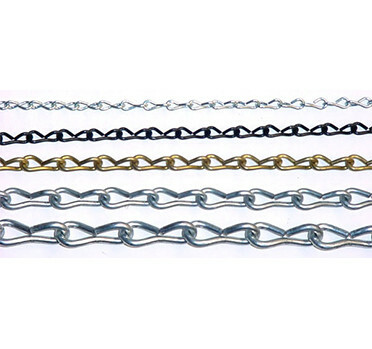 Jack chain is formed from wire. 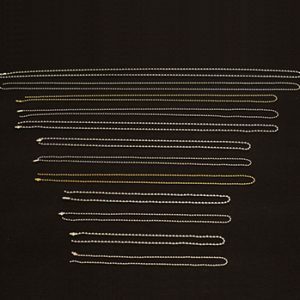 It looks like small “figure eights”. 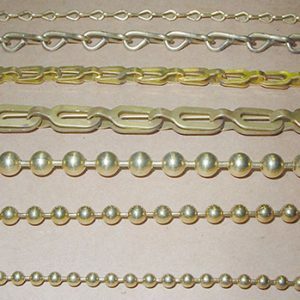 A versatile chain used for hanging pictures, lights, signs, potted plants, and novelty items. 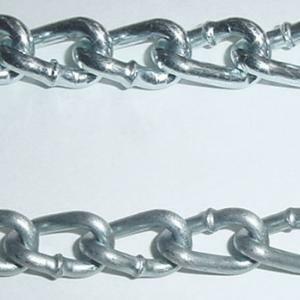 Also used as a retaining chain for valve or dial covers.